A two Judge Bench of the Supreme Court has reiterated that to enable the police to start investigation, it is open to the Magistrate to direct the police to register an F.I.R. and even where a Magistrate does not do so in explicit words but directs for investigation under Section 156(3) of the Code, the police should register an F.I.R. This Court explained that registration of an F.I.R. involves only the process of recording the substance of information relating to commission of any cognizable offence in a book kept by the officer in charge of the concerned police station. In paragraph 11 of the aforementioned case, the law was further elucidated by pointing out that to enable the police to start investigation, it is open to the Magistrate to direct the police to register an F.I.R. and even where a Magistrate does not do so in explicit words but directs for investigation under Section 156(3) of the Code, the police should register an F.I.R. Because Section 156 falls within chapter XII of the Code which deals with powers of the police officers to investigate cognizable offences, the police officer concerned would always be in a better position to take further steps contemplated in Chapter XII once F.I.R. is registered in respect of the concerned cognizable offence. “For the purpose of enabling the police to start investigation it is open to the magistrate to direct the police to register an FIR. There is nothing illegal in doing so. After all registration of an FIR involves only the process of entering the substance of the information relating to the commission of the cognizable offence in a book kept by the officer-in- charge of the police station as indicated in Section 154 of the Code. Even if a magistrate does not say in so many words while directing investigation under Section 156(3) of the Code that an FIR should be registered, it is the duty of the officer-in-charge of the police station to register the FIR regarding the cognizable offence disclosed by the complaint because that police officer could take further steps contemplated in Chapter XII of the Code only thereafter”. Police officers power to investigate cognizable cases.-(1) Any officer in charge of a police station may, without the order of a Magistrate, investigate any cognizable case which a court having jurisdiction over the local area within the limits of such station would have power to inquire into or try under the provisions of Chapter XIII. (2) No proceeding of a police officer in any such case shall at any stage be called in question on the ground that the case was one which such officer was not empowered under this section to investigate. Though the scope and ambit of Section 156(3) is explained in a catena of Judgments, there are conflicting views about it, especially on the nature of application of mind required by the Magistrate at this stage. “If on a reading of the complaint he finds that the allegations therein disclose a cognizable offence and the forwarding of the complaint to the police for investigation under S.156(3) will be conducive to justice and save the valuable time of the Magistrate from being wasted in inquiring into a matter which was primarily the duty of the police to investigate, he will be justified in adopting that course as an alternative to taking cognizance of the offence, himself”. 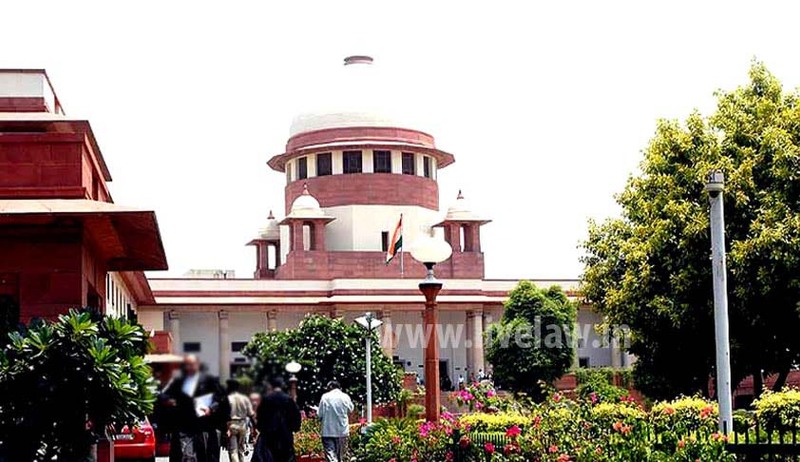 “To make it clear and in respect of doubt raised by Mr. Singhvi to proceed under S.156 (3) of the Code, what is required is a bare reading of the complaint and if it discloses a cognizable offence, then the Magistrate instead of applying his mind to the complaint for deciding whether or not there is sufficient ground for proceeding, may direct the police for investigation”. But recently, in Ramdev Food Products Private Limited v. State of Gujarat while dealing with the exercise of power under Section 156(3) CrPC by the Magistrate, a three-Judge Bench has held that: ".... the direction under Section 156(3) is to be issued, only after application of mind by the Magistrate. When the Magistrate does not take cognizance and does not find it necessary to postpone instance of process and finds a case made out to proceed forthwith, direction under the said provision is issued. In other words, where on account of credibility of information available, or weighing the interest of justice it is considered appropriate to straightaway direct investigation, such a direction is issued. Cases where Magistrate takes cognizance and postpones issuance of process are cases where the Magistrate has yet to determine "existence of sufficient ground to proceed." In our considered opinion, a stage has come in this country where Section 156(3) Cr.P.C. applications are to be supported by an affidavit duly sworn by the applicant who seeks the invocation of the jurisdiction of the Magistrate. That apart, in an appropriate case, the learned Magistrate would be well advised to verify the truth and also can verify the veracity of the allegations. This affidavit can make the applicant more responsible.